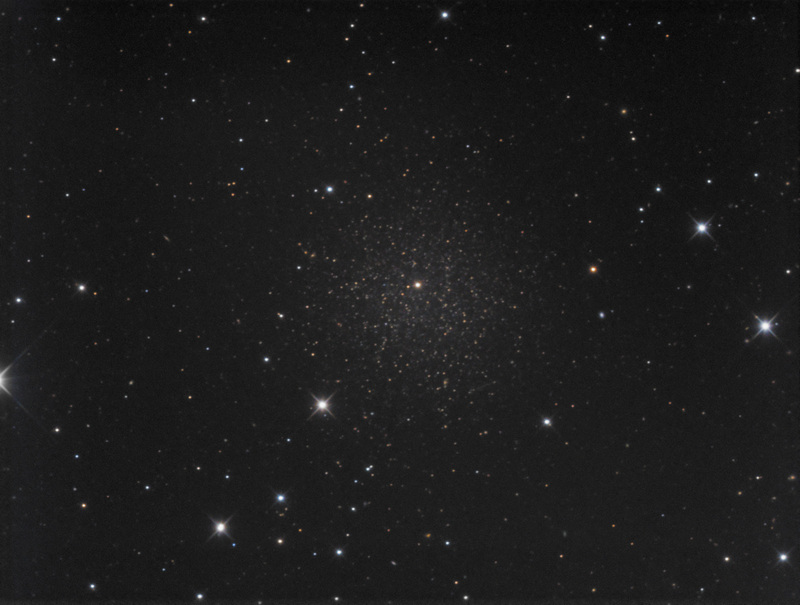 UGC 6253 (Leo II and others) is a dwarf spheroidal galaxy located approximately 783,000 light-years away in Leo. Imaged April 29th and March 1st and 2nd, 2016 from Rancho Hidalgo (Animas, New Mexico) with a SBIG STF-8300M on an Astro-Tech AT12RCT at f/8 2432mm. You also caught an asteroid. Most likely (149499) 2003 FP16 at magnitude 18.1. Nice to see one not often posted. Now for the other Leo Dwarfs. Very nice. That is a low surface brightness object. That ranch must have been pretty dark. thanks for pointing that out. My notes mention catching 27223 1999 GC5 on April 1st (MDT) and it looks right according to TSX. Estimated magnitude was around 17.47. I did catch the same one in my RGB (very faint) but it was rejected out. I don't see the other asteroids that would have been in the field. Edited by Dan Crowson, 16 May 2016 - 03:49 PM. I don't see how it could be 27223. Leo 2 runs from about 11h 13m to 11h 14m but on from April 30 through May 3 UT 27223 was between 11 06 54 and 11 07 17 so couldn't have been on the SW edge of the galaxy which is about 11 13 19. that's per the Minor Planet Center's ephemeris server. But I was wrong too. I had looked up several positions and grabbed the wrong one when I posted that. Sorry for the error. Entering the right month I find on April 2 at 7 hours UT, that's 2016 04 02.29 in Minor Planet Checker terms (April 2 just after midnight MDT) . I used 11 13 19.56 +22 06 12.4 for the coordinates, asteroid (27223) 1999 GC5 was within a few seconds of arc of the left edge of the trail in your image at 11h 13' 19.9" +22d 06' 15" at mag 17.5 per the Minor planet checker for that time. Oh well, it is finally identified -- I hope. Nice! I love these dwarf galaxies. They look much like loose globulars.